At Nuance, we believe in writing stuff that’s worth reading. We believe the power of a story is in the telling. And we believe that every word should earn its way onto the page. Words By Nuance was established in 2012 by Sydney-based writer Emma Heath. After spending over a decade in advertising and branding agencies, Emma saw the potential to specialise in written communications that are effective and beautiful – so she set up a business to do just that. In the years since, Words by Nuance has gained a reputation for delivering smart strategies, effective copy, unique Tone of Voice systems, and a refreshingly frank approach. Words By Nuance now represents a team of talented people who share a passion for the written word. Together, we work across all categories and channels, from big bank websites, to cheeky liquor labels. We love variety, we love a challenge, but most of all we love working with like-minded clients who appreciate our philosophy of ‘no empty words’. 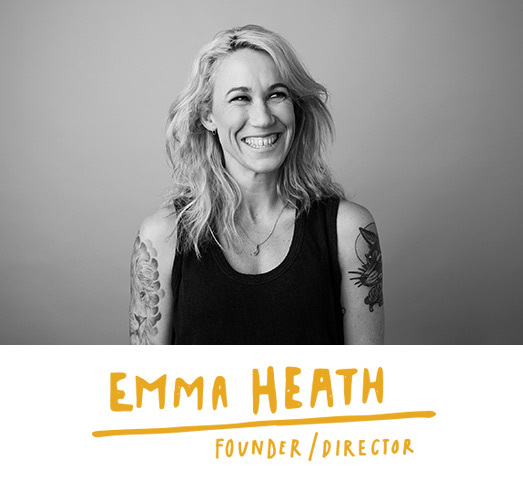 With over fifteen years of experience in communications, Emma Heath has developed a knack for distilling complex concepts in to simple, clear, engaging copy. While she’s spent time in a string of major agencies (Ogilvy, Havas, Leo Burnett and Lavender to name a few) Emma is an independent spirit – which led her to take the plunge and start Words By Nuance in 2012. Curious and strategic by nature, Emma is very good at getting to the heart of the matter, and recognising what people really want. Her goal: to connect brands with their customers in relevant, interesting and truthful ways – avoiding spin, fluff and hyperbole. As Words By Nuance team leader, Emma handles strategy, communication planning, and tone of voice workshops, and also oversees all the work that’s produced by our greater team. With her unstoppable enthusiasm, she loves nothing more than getting to know new businesses and the people behind them. Alex has been working in marketing and communications since the tender age of 17. Over the last decade or so, she has accumulated a formidable amount of experience across a host of sectors – from finance and telecommunications, to boutique beer and Swedish furniture. Having worked at leading agencies such as TBWA and Wunderman, Alex has brought countless major campaigns to market (and more importantly, has kept everyone sane in the process). While she’s much loved for her relaxed, easy-going charm, don’t be fooled – Alex also possesses a razor sharp mind, an eagle eye, and a truly fearsome work ethic. Alex’s passion and talent for writing drew her to Words By Nuance in 2016, where she has quickly become an invaluable member of the team. 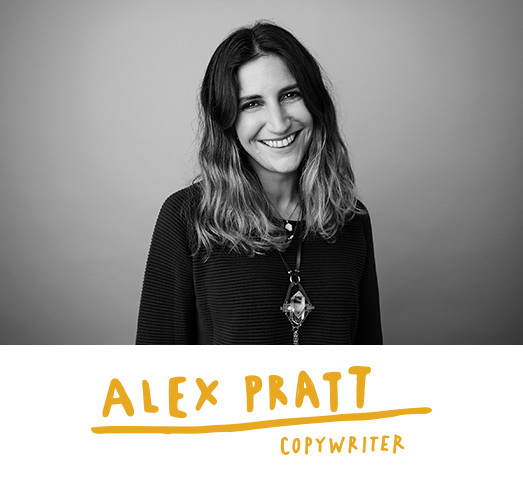 Now, Alex applies her creative skills as a copywriter working across a range of Words By Nuance projects. Our clients love her warmth and frankness, and the TLC she gives every word that she writes. With her sense of style, can-do attitude and innate creativity, Poppy brings fresh energy and perspective to the Words By Nuance team. As Social Media Manager, she handles the profiles of many of our clients. Not only has Poppy turned the hashtag and Instagram caption into an art, she brings design skills to the party (don’t get her started on the importance of a filter), creating an array of written, video and visual content from scratch. 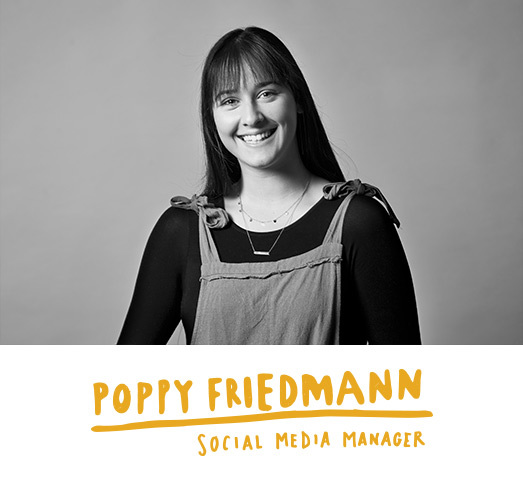 With a graphic design diploma under her belt, not to mention stints at TV production groups including Finch, Film Graphics and Vandal, Poppy has a maturity that belies her tender age. Don’t let that face tell you otherwise; this is one savvy little cat.